Food glorious food! This is what mine will look like for the week. Spot any protein in there? This is what another week of following Jamie Eason's LiveFit trainer looks like. Protein plus veggies mostly. If needed, I will have two hardboiled eggs. My week will consist mostly of clean eating (with the exceptions of Sandwich Thins instead of Ezekial bread). Saturday might be a different story. We're having a late birthday party for me since I turned the big 3-0-. I can assure you there will be birthday cake involved, but I'll still try to balance that will a lot of lean protein and produce. Otherwise, my entire week is planned out to a "T" exactly like shown above. Since the squash isn't running dry in my backyard, I decided to incorporate them again this week. The chives, tomatoes and onions came courtesy of my backyard too. I love this growing season! I can't wait to try the new burgers and have delicious fruit smoothies for breakfast. This is how I spend my Sundays, peeps. Usually it's church then grocery shopping with Hubster followed by meal prepping for the week. It's a great way to ensure that the week is full of good things. It also helps me get to work on time when my food is all ready and bagged:) I even have all my vitamins set out for the week. Go me! 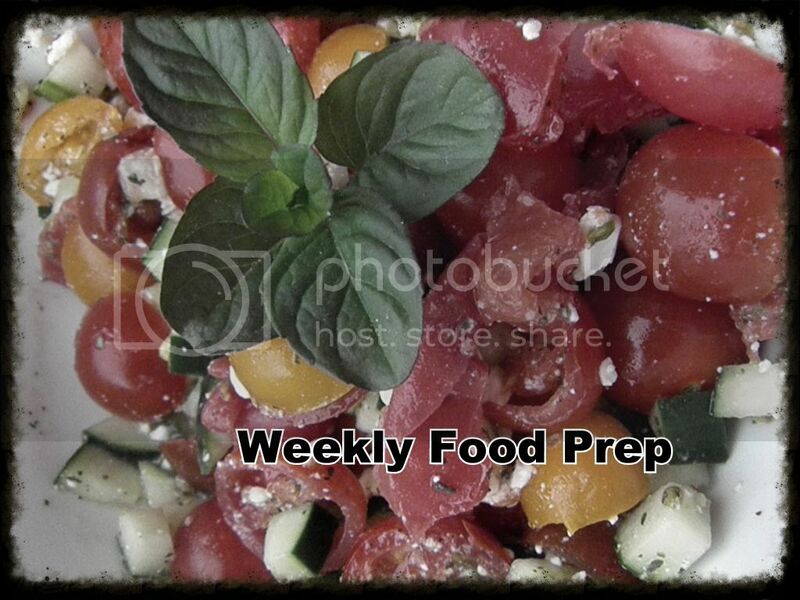 What's in your lunch box this week?